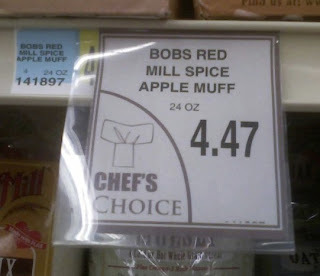 Spice apple muff. Didn't know it came in that flavor. I had always thought that it was more like......well, that joke would be too easy to make.